A Gloucestershire businessman, who stole almost £265,000 of taxpayers’ money by claiming false VAT repayments for his web development company, has been jailed for three-and-a-half years. 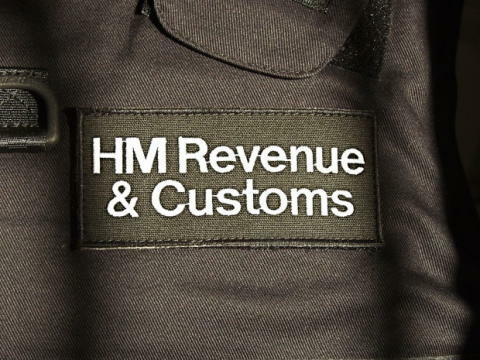 An investigation by HM Revenue and Customs (HMRC) revealed that Robert Steele, 49, had faked invoices and bank statements, which he used to support the dodgy figures on VAT returns for his company, Clip and Ping Ltd. Between September 2010 and March 2014 Steele made 14 false claims for VAT repayments totalling £264,134. The HMRC investigation, which began as part of the South West VAT Fraud Repayment taskforce, revealed that Steele had used the proceeds of his fraud to fund an affluent lifestyle, including paying private school fees and renting luxury homes in Gloucestershire. “Steele lied on his VAT returns to receive money he simply wasn’t entitled to. He used taxpayers’ cash to fund a lifestyle that most people would consider privileged. He diverted money from the public purse to his own pocket and he showed little remorse for doing so. Steele claimed that the fake paperwork, including sales and purchase invoices, had been prepared by a colleague in Beijing but HMRC found no evidence to support this. The jury took just 35 minutes to find Steele, who represented himself at court, guilty of five counts of fraud. Steele was jailed for three-and-a-half years at Gloucester Crown Court on 19 February 2016. He was also suspended from holding a company directorship for seven years. He said Steele was "self-delusional" and had "concocted a business model which purported to be capitalised by angel investors". The Judge added that the fraud “involved £265,000 that did not go to its proper destination". Robert James Steele, DOB 23/09/66, of Syde, Gloucestershire (rented property), and Station Road, Churchdown, Gloucester (rented property) at the time of his arrest. Steele was arrested by HMRC investigators in April 2014 and charged with five offences in March 2015; two counts of fraud by false representation, contrary to section 1 Fraud Act 2006 and three counts of making or supplying articles for use in fraud, contrary to section 7(1)(a) Fraud Act 2006. He was found guilty on 12 November 2015. Steele was sole company director of Clip and Ping Ltd, a web software development company, known as Myfeedme Limited until July 2012. VAT registered businesses must charge VAT on the selling price of any goods and services that are liable to VAT. This is known as ‘output tax’ (sales).VATpaid by the business on goods and services is known as ‘input tax’ (purchases).The difference between the output tax and input tax is usually paid to HMRC as a VAT payment. If a businesshas bought more than it has sold, i.e. the input tax is more than the output tax, VAT repayment can be claimed. More than 140 taskforces have been launched since 2011 bringing in more than £404 million, protecting this money for public services. On 28 September 2015, HMRC announced that the South West England and South Wales VAT Fraud Repayment taskforce had brought in over £10 million, since being launched in November 2013. 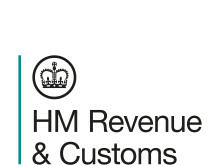 HMRC Press officer for Dorset, Wiltshire, Buckinghamshire, Gloucestershire, Hampshire, Oxfordshire, Isle of Wight, Berkshire.